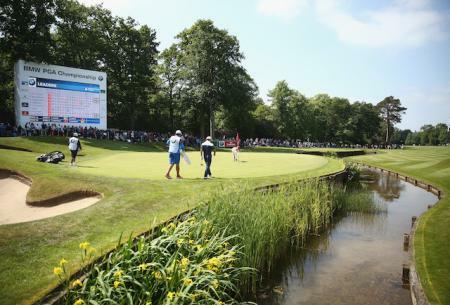 Who wouldn’t want to tee it up in their home open? 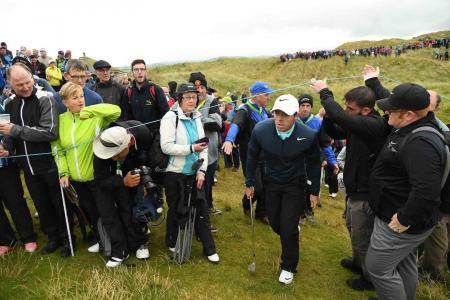 Well for one, Rory McIlroy, who is giving this year’s Irish Open a miss. 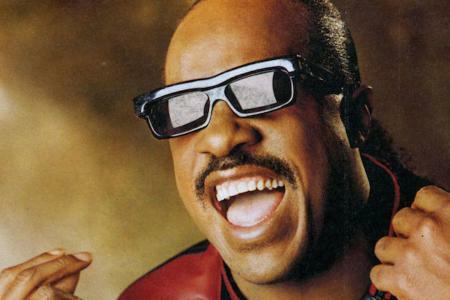 No biggy, I hear you say, it’s not like choosing to miss something like the Olympics is it? 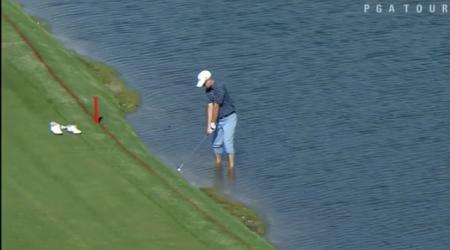 Oh, hang on Rory turned that one down too. 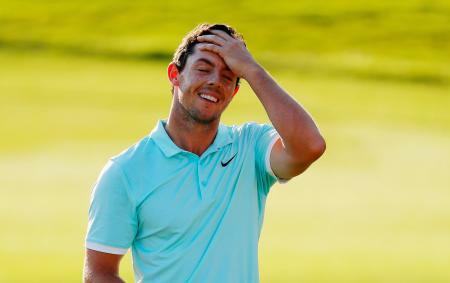 So, what are the priorities of the 29-year-old darling of Irish Golf and why will he not be joining the likes of Ian Poulter, Tommy Fleetwood, Shane Lowry and Padraig Harrington at the stunning Lahinch Golf Club this July? 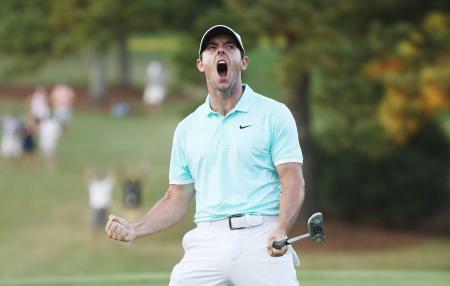 Rory McIlroy has been installed as the favourite to win The Masters after making a blistering start to the year. 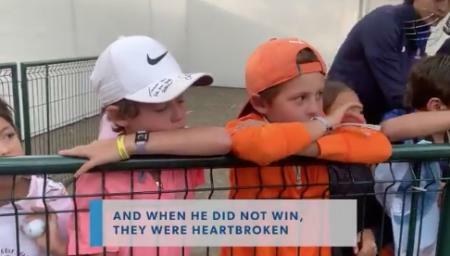 When Rory McIlroy discovered a couple of his fans were in tears because he didn't win the WGC, he decided to cheer them up. And how! 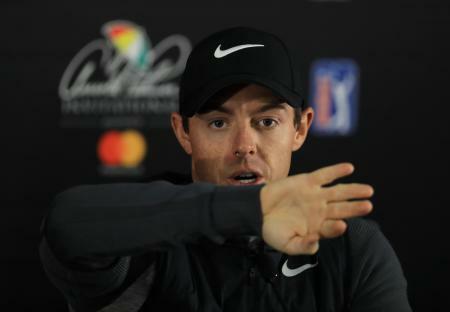 Rory McIlroy has welcomed the sweeping changes that have been implemented to the rules of golf and hopes that the new rules will bring a greater clarity within the sport. Rory McIlroy may be battling away at the DP Tour Championship, but before he left for Abu Dhabi he took the time to respond to a young Northern Irelander’s letter. 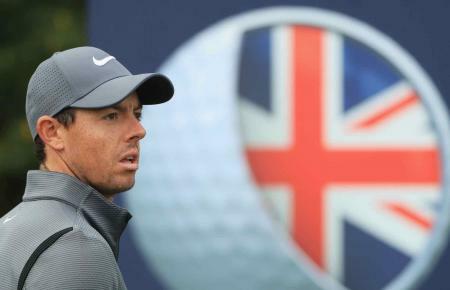 Rory McIlroy is not in the least bothered that if he quits the European Tour he could jeopardise his potential future Ryder Cup captaincy, commenting that "It's twenty years away." 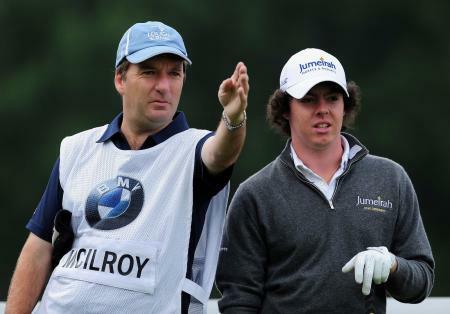 Rory McIlroy is rumoured to be thinking of working with Billy Foster after his recent split from Lee Westwood. 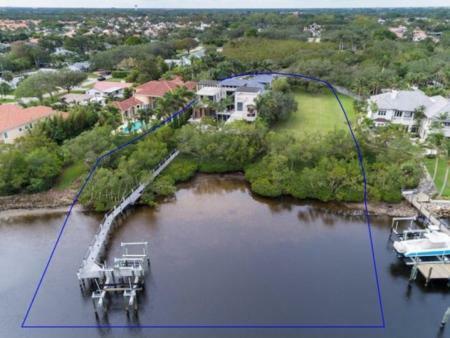 Rory McIlroy has sold his Palm Beach Gardens home for $11.50 million, and taken a $250,00 hit on it. 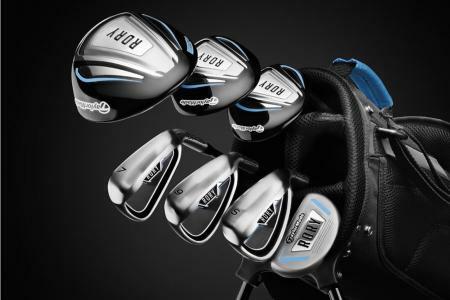 Teaming up with 4-time Major Championship Winner and Current World #5 Rory McIlroy, TaylorMade's new Junior sets are engineered to help kids develop a passion for the sport at an early age. Padraig for 2020 Captain, yay!!! That's what Rory is calling for. And why not? 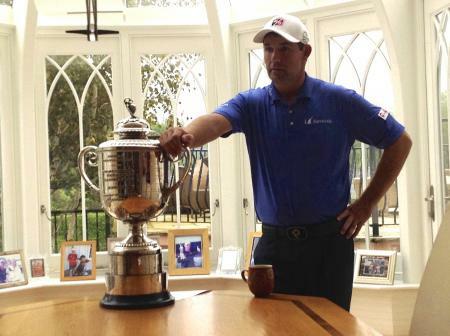 Three-time major winner (including two USPGAs) Padraig would be a great choice to take the lads out to Whistling Straits. After finishing 14 shots behind Brooks Koepka at Bellerive, Rory McIlroy is desperately trying to find his form ahead of the Ryder Cup. 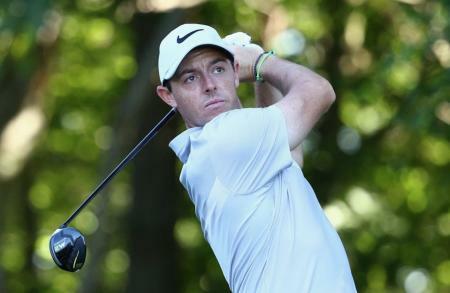 Rory McIlroy and Ian Poulter are tied for second after moving day at the WGC-Bridgestone Invitational. 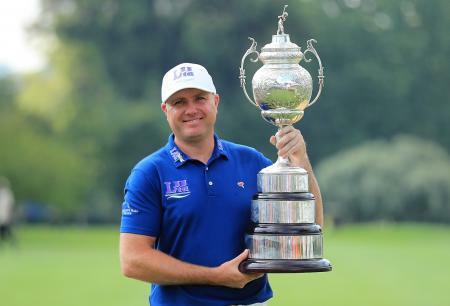 Francesco Molinari was the well deserved winner of the BMW PGA Championship as he beat Rory McIlroy with a brilliantly composed final round of 68 to take the title by two shots. And he’s properly played himself into Ryder Cup contention. 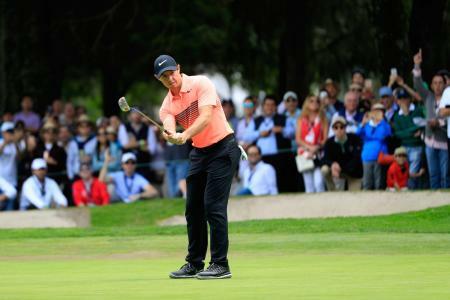 It was a rollercoaster round for Rory McIlroy, but he is still in it, despite only shooting a one under 71, whilst Francisco Molinari was hot to trot with a six under 66 - the best round of the day by two shots. 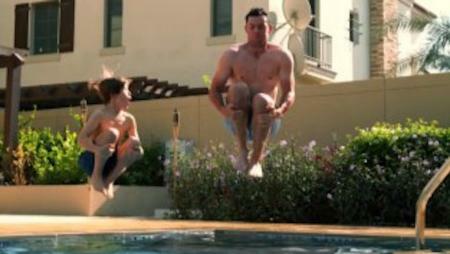 Back in the day when the ice bucket challenge was all the rage. 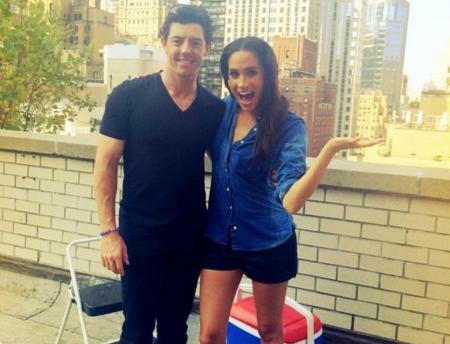 Tiger Woods nominated Phil Knight and Rafael Nadal, while Rory McIlroy nominated Wayne Rooney, former president George W. Bush, and actress Meghan Markle, who was best known then for her role in the show "Suits". The R&A won't like this, but Rory McIlroy has gone on the record to state that he believes that the Masters has now overtaken the other major championships as "the biggest golf tournament in the world". 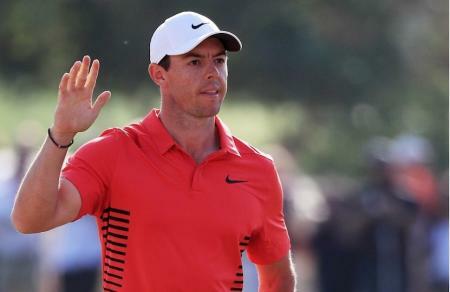 Rory McIlroy secured his first victory in 18 months with his win at the Arnold Palmer Invitational at Bayhill, as he prepares the ground for another shot at The Masters. 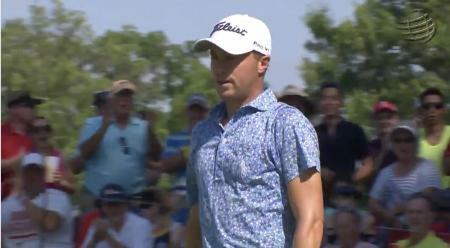 Bryson DeChambeau, with his one-length Cobra irons, joined Henrik Stenson at the top of the leaderboard at Bay Hill while Tiger trod water and Rory showed he is beginning to tread lightly in the right direction. Not bad for the World Number 60! Li Haotong faced down the one and only Rory McIlroy after overturning a two-shot deficit from the 10th hole to win the Dubai Desert Classic. 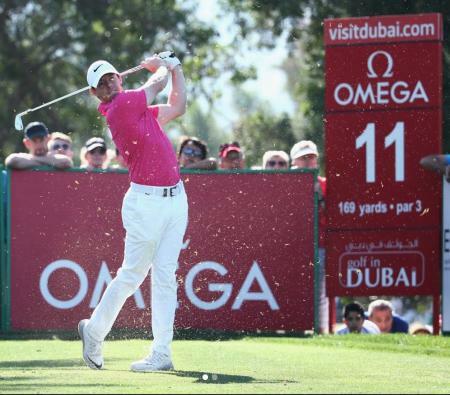 Rory McIlroy has shot a four under 68 to trail Haotong Li by a single shot on moving day at the Dubai Desert Classic. Rory McIlroy has taken to Instagram to play down the signifcance of a heart irregularity discovered in a recent medical. Here's his statement in full. Rory McIlroy has just put his pad in Palm Beach, Florida on the market, and it’s yours for $13 million. We’re checking down the back of the sofa now. 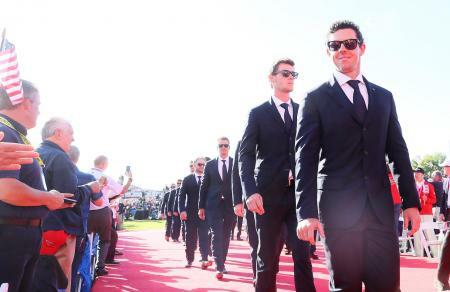 Rory McIlroy's management and image rights company has recorded a staggering pre-tax loss of £79.4m last year. The paper-only loss stems from a non-cash write-down of $99m in the value of McIlroy's lifetime image rights. Rory McIlroy will make his return to golf in January’s Abu Dhabi HSBC Championship after time out to get over his rib problem. 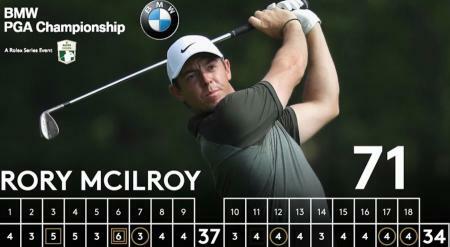 Rory McIlroy shot a brilliant 64 to force himself into contention for a first win of the year in the British Masters. 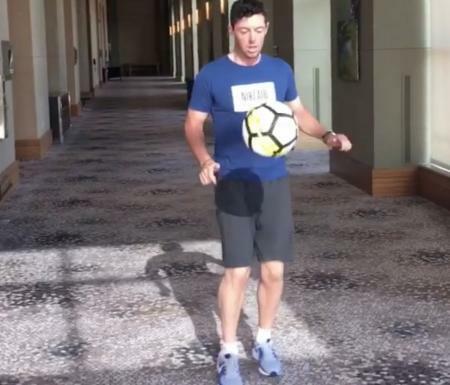 Rory McIllroy has accepted Cristiano Ronaldo's #CR7Challenge to post a video of his best soccer trick. And he has has made some interesting nominations of his own. 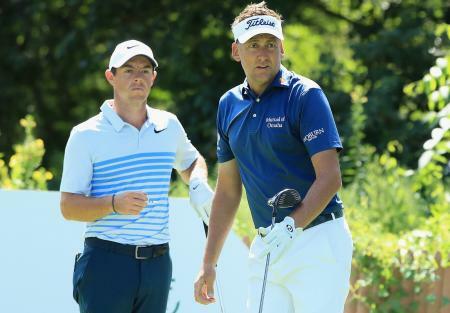 Rory McIlroy will have to produce a top 4 finish if he is to make next week's Tour Championship, while Ian Poulter will need a top 5 if he is to make it. Rory McIlroy's 2017 season will be one that he will want to quickly put behind him, as with the missed cut in Boston he has fallen down the world rankings. 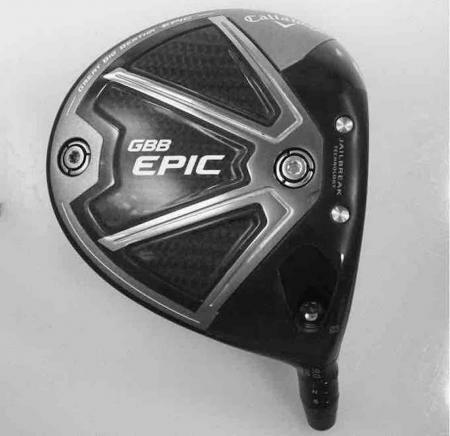 "When you are missing both ways with your driver, it's never good. 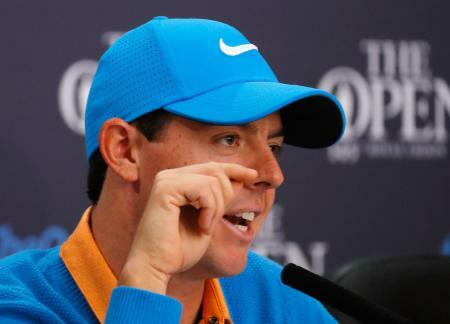 And I also made a bogey with a wedge in my hand at the first, which is sloppy." Speaking ahead of this week’s first FedEx Cup playoff event, Rory McIlroy had this to say about what his winning cheque for $10 million in last year’s event was used for. 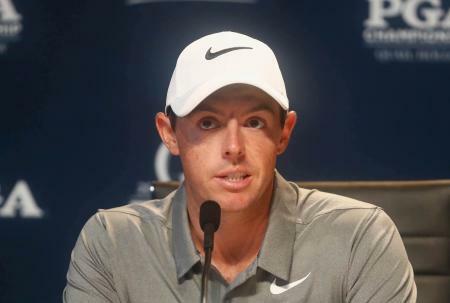 Rory McIlroy has confirmed that he intends to play in five more events this year before taking an extended break to recovery from his long standing rib injury. Rory McIlroy has had a change of heart, and will now not take a porlonged period of time off to recover from his persistent rib injury. Instead he will now try and defend his FedEx Cup title. 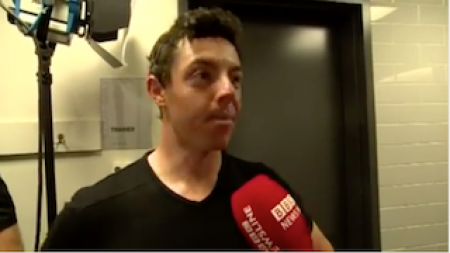 There's a great viral video doing the rounds by a guy called Steven Connolly who has lipsynced an interview with Rory McIlroy on what he is expecting from his new caddy, and the results are unusual to say the least. Rory McIlroy’s challenge for major honours in 2017 is effectively over, but he is already looking to the future. 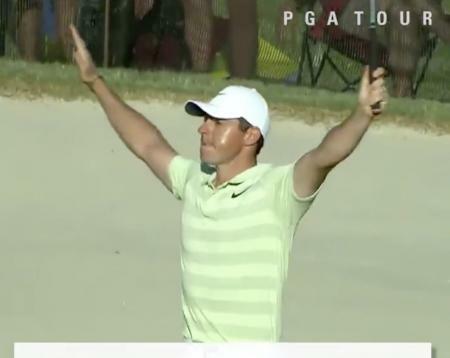 Rory McIlroy has narrated an emotional feature on the incredible story of Traden Karch, which aired on the Golf Channel on Wednesday evening. 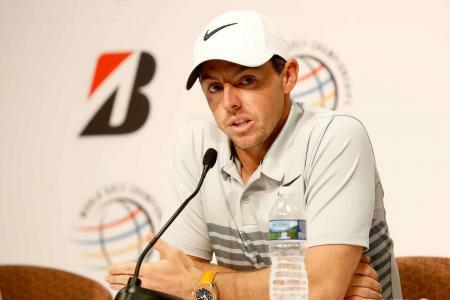 Rory McIlroy parted company with JP Fitzgerald on Monday, after working with him for nine years, and winning four majors, although none since 2014. And now he has opened up as why the two have parted company. 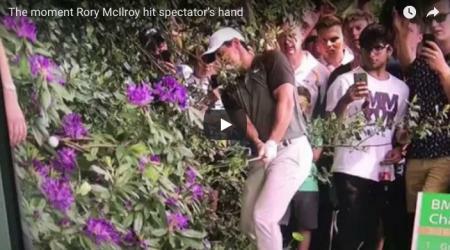 What’s up with Rory McIlroy? 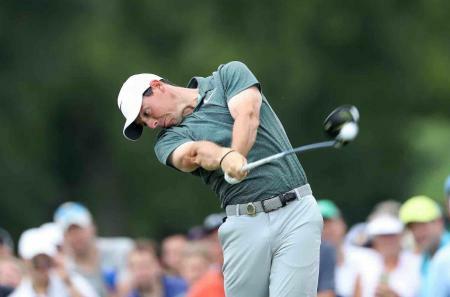 Rory McIlroy, the world’s No 4, has only gone and missed another cut – his third in four outings. So what’s going wrong? 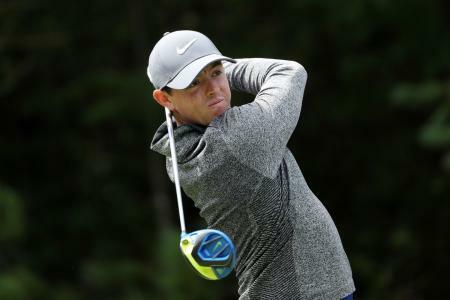 Rory McIlroy has missed the cut at the DD Irish Open. And it's not for the first time! 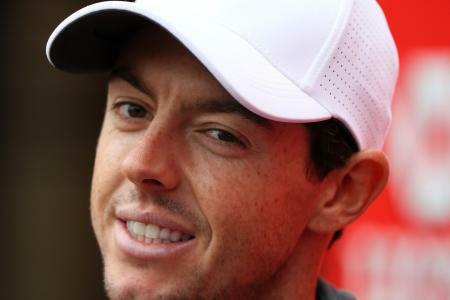 Rory McIlroy has banned himself from social media after his Twitter row with Steve Elkington. Rory McIlroy just made the cut, but Jason Day is heading home after signing for the wrong score at an eventful day at the Travelers. 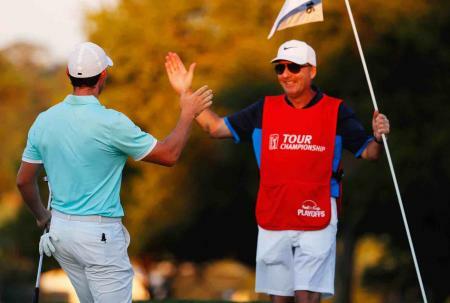 Nice work from Rory McIlroy as he makes a fan's dream come true. Noreen Murnane suffered a stroke six years ago, and wanted to meet the man himself. 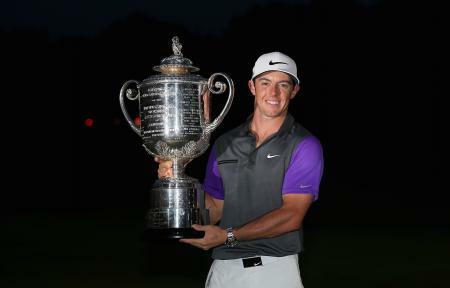 And Rory duly obliged. 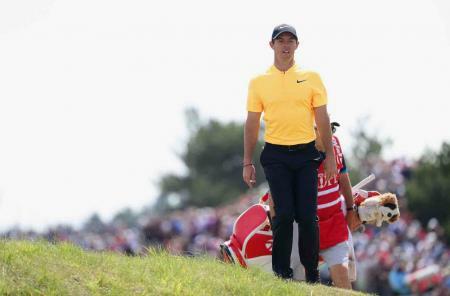 Rory did not make it to the weekend of the 117th US Open, and his demeanour did not go unnoticed by the 1995 PGA Championship winner Steve Elkington. It was time for a Twitter handbagging. 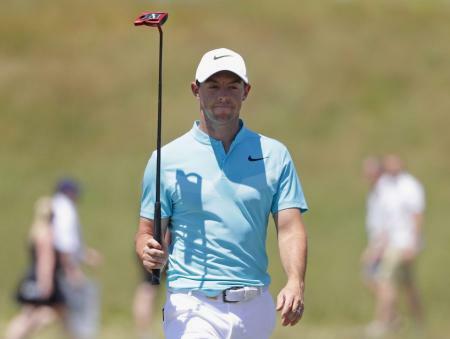 Rory McIlroy has laid into the USPGA for cutting heavy rough from four holes just two days before the start of the US Open after complaints from other players. 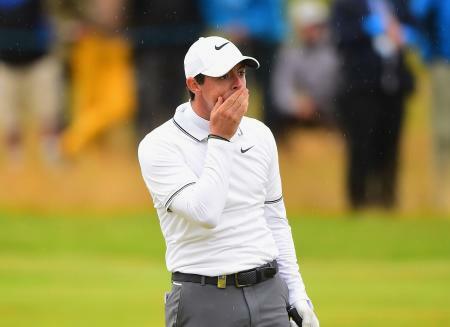 Paul McGinley believes that Rory McIlroy cannot be considered a US Open contender this week because injury woes have wrecked his preparations. 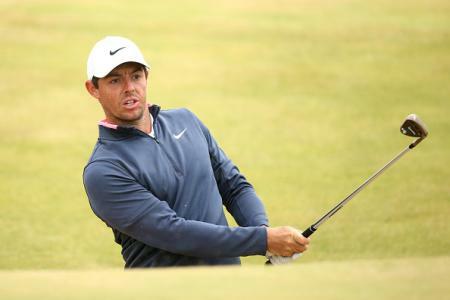 Rory McIlroy has confirmed that he will play the US Open at Erin Hills in Wisconsin, despite concerns about a persistent rib injury. Rory McIlroy has withdrawn from next week's Memorial Tournament in Ohio, leading to fears that he might miss next month's US Open. Fancy buying Rory's old motor? 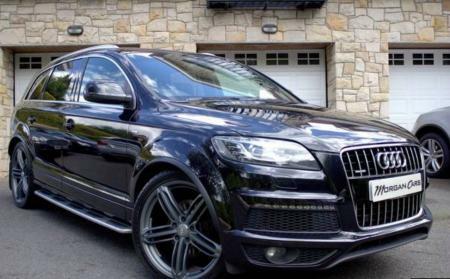 There’s a top–of–the–range Audi Q7 on sale, with 80,000 miles on the clock, and if you check the log–book you’ll find that one Rory McIlroy was a previous owner. 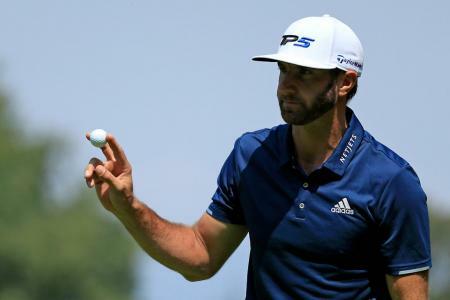 Damn it all to hell and back, the world's best golfer (sorry DJ, he just is) has pulled out of next week's BMW Championship at Wentworth. 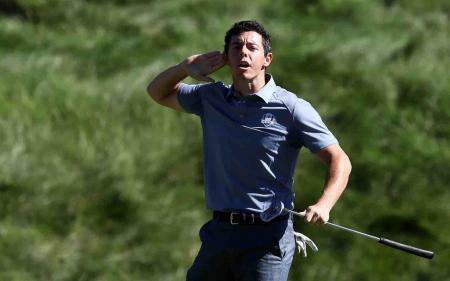 Rory McIlroy has made the top five of the Sunday Times sporting rich list off the back of his FedEx victory. Following his fall last night, Dustin Johnson is no longer the clear favourite for The Masters. 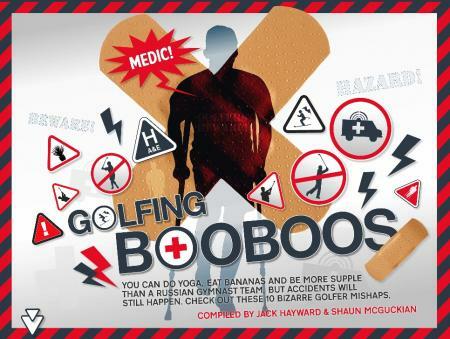 He's now in a three way tie with Jordan Spieth and Rory McIlroy at 7/1 with online bookmakers 888sport. 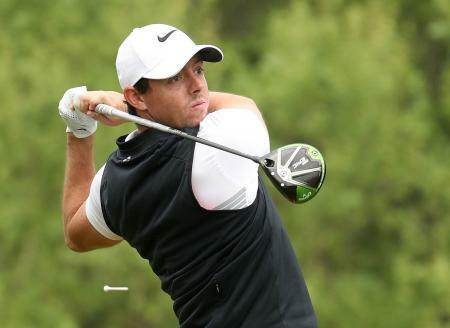 Rory McIllroy has made a late change to his brand and model of fairway woods on the eve of the Masters. Here's what he will now be playing. 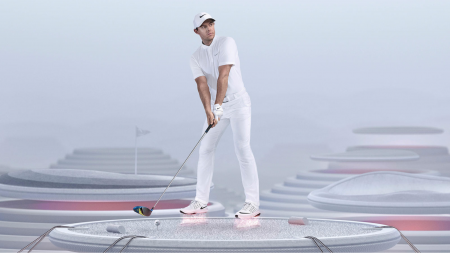 Rory McIlroy has signed an estimated $100 million (£80 million) contract extension with Nike. 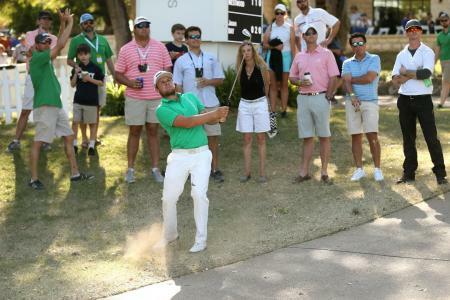 The signs are not good for Rory to prevail here in Texas. Only one player, Dustin Johnson, who lost their opening match last year went on to make the last 16. 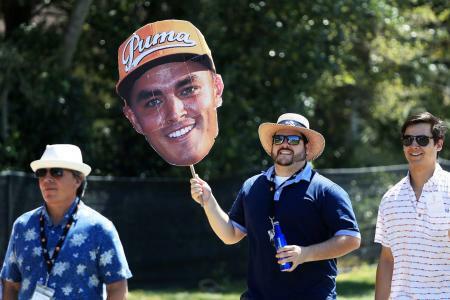 Rickie & Rory stole the show on day three of the Arnold Palmer Invitational at Bay Hill as they both carded stunning (low rounds of the tournament) 65s to move into contention going into the final day. 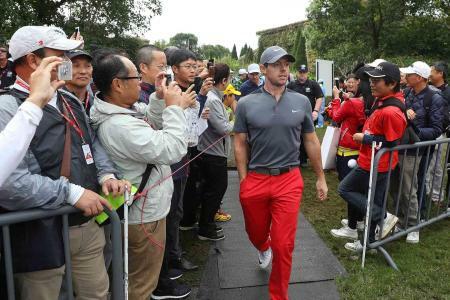 Rory may be coming back from a rib injury, but he's now had to contend with a bout of food poisoning as he remains in contention at the WGC Mexico Championship. Rory McIlroy returns to competitive action today at the WGC – Mexico Championship, and he is determined to get his season back on track. Here's what he will be wearing when he tees it up. 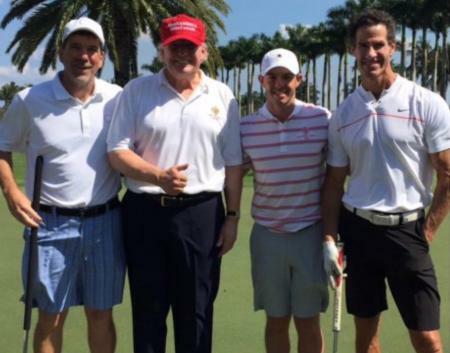 Rory McIlroy has defended his decision to tee it up with POTUS Donald Trump. 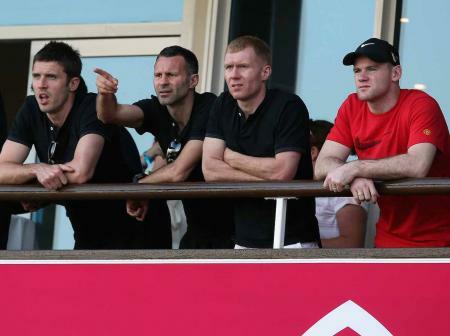 Ryan Giggs, who made a record 963 appearances for Manchester United during his Premier League career, will tee it up at the BMW Po–Am with Rory McIlroy. 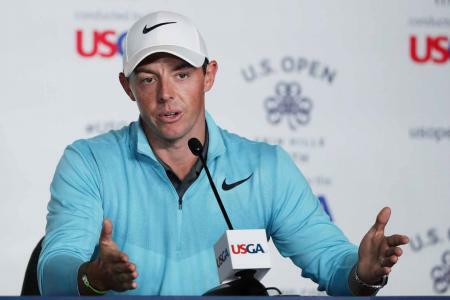 Golf fans have taken to Twitter to vent their spleen over Rory's round with The Trump. And there are a lof unhappy campers! There's no stopping the Trumper when it comes to hitting the links, and getting high quality golf partners. So who has he been teeing up with now? Well, it's Rory McIlroy. 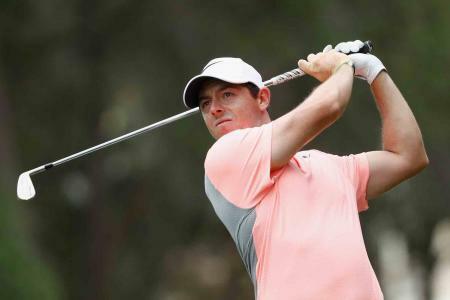 Rory McIlroy's hopes of a fast start to the new golfing year have been shattered by his latest injury setback, and it has put a serious dent into his carefully laid plans to get his game peaking for another assault on an elusive Masters victory. 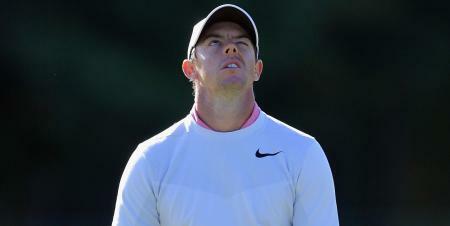 Rory McIlroy "gutted" to be out of the Abu Dhabi Championship after rib injury forces his withdrawal. One minute you've got your head in your hands after losing your tour card by 100 euros. You're facing the living hell of Q-School. The next minute you've just beaten Rory McIlroy in a play off to win The 2017 South African Open. 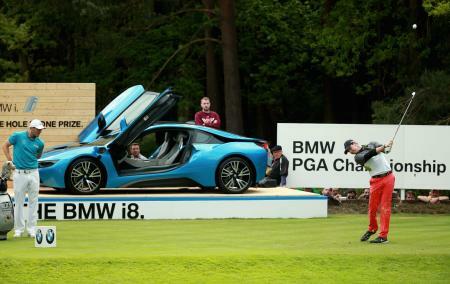 Grab the bunting, alert the authorirties and put the cat out... World Number 2 Rory McIlroy has confirmed he will grace us with his prescence at the BMW Wentworth 25th May, 2017. 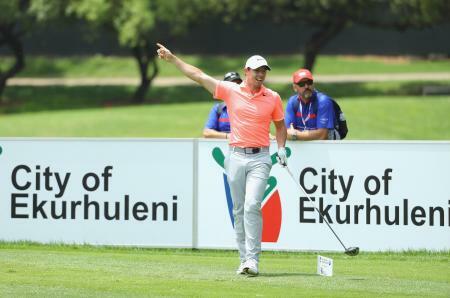 Rory has just finished his third round at the South African Open, and he's carded a useful 67 to go into second place behind Graeme Storm on moving day. 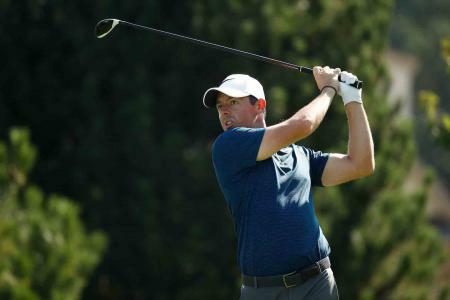 Rory McIlroy has confirmed his participation in the first Rolex Series event, the 2017 BMW PGA Championship, which will be staged to the revamped Wentworth Club from May 25–28. 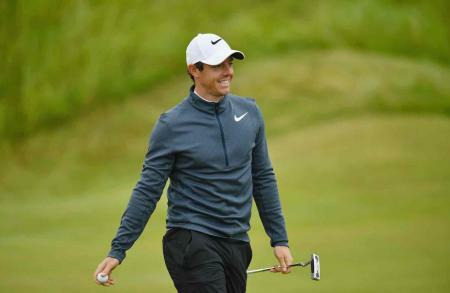 Rory McIlroy has won the European Tour shot of the year, as voted for by My European Tour fans, for his approach shot to the 18th at the Dubai Duty Free Irish Open. 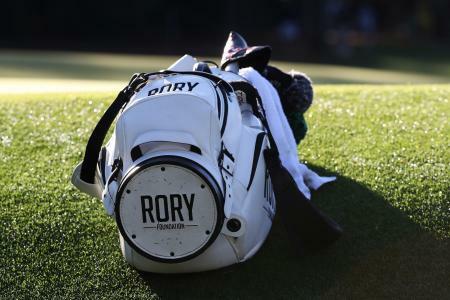 Is Rory switching to Callaway? 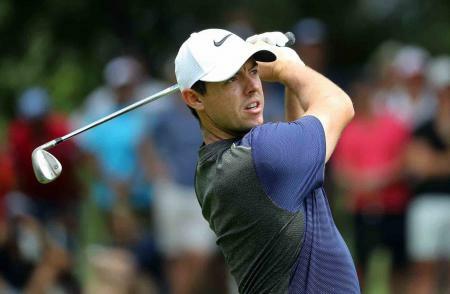 According to a report from NoLayingUp.com, Rory McIlroy is switching to Callaway woods (the new GBB Epic Sub Zero) and irons (Apex MB), an Odyssey putter and Titleist ball (Pro V1x) and wedges (Titleist Vokey). 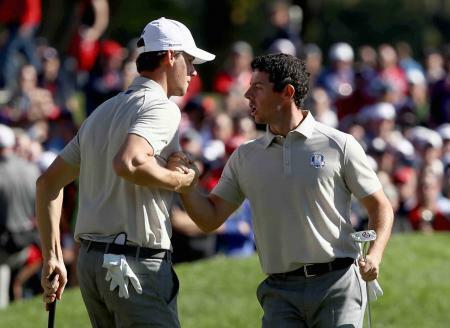 There is a simple reason why Rory wasn't wearing a cap at the Ryder Cup. Here's one small mystery of 2016 cleared up then. 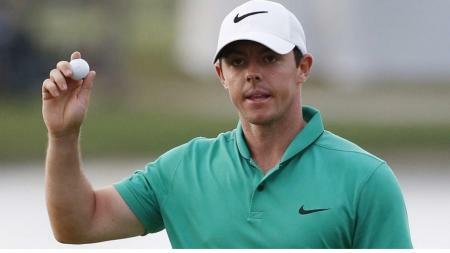 Rory McIlroy has the talent but he must work harder to dominate golf, Jack Nicklaus has said. 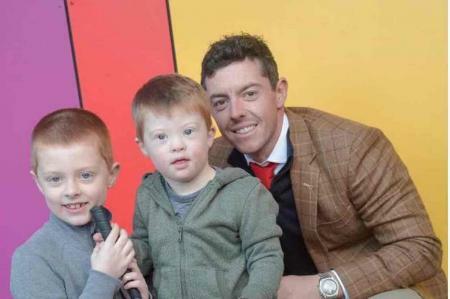 We like the cockles of our hearts being warmed, especially at this time of the year, and we have to say hats off to Rory as he visited the new Mencap Centre in Belfast today that his foundation helped to build. Credit where credit due and all that. 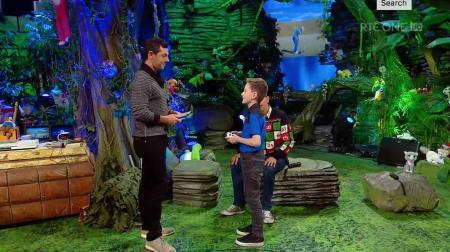 Rory stunned a young, ardent and knowledgeable fan on Ireland’s “Late Late Toy Show”. Rory McIlroy has sent a letter to the young man who caught the ball he threw toward the gallery after making an eagle 2 on the 70th hole of the Tour Championship in September. 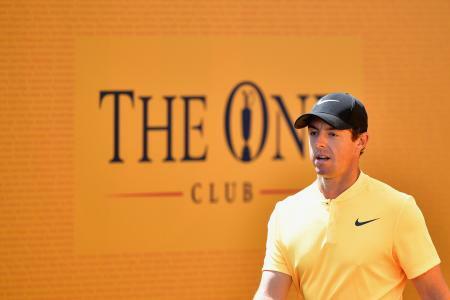 Rory McIlroy undertook the toughest interview of his career at Jumeirah Golf Estates in Dubai, where the four-time Major Champion met with the European Tour's nine year old reporter Billy on the eve of his defence of the DP World Tour Championship. 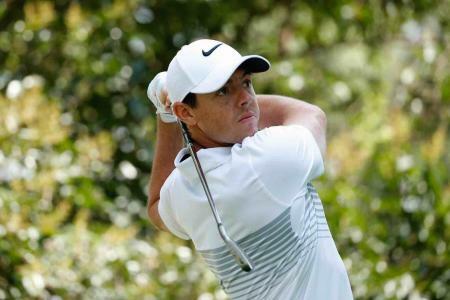 Rory McIlroy has made a late withdrawl from the Turkish Open over security fears. 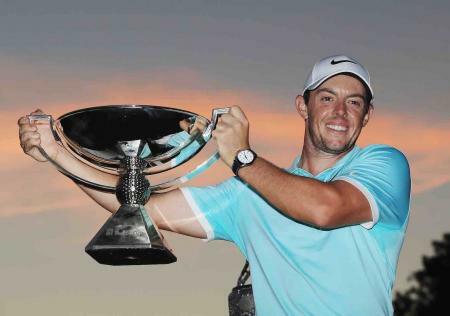 In mid-August, Rory McIlroy and his performance team escaped to the Bahamas for five days. 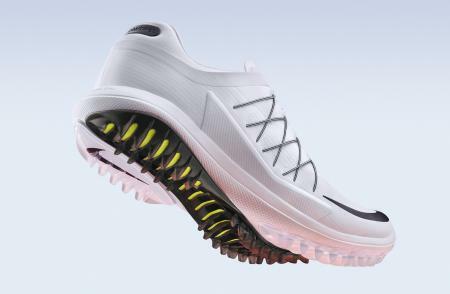 McIlroy also used the relative seclusion for final testing of Nike Golf’s latest shoe: The Nike Lunar Control Vapor. Update: Now we've got photgraphic proof! 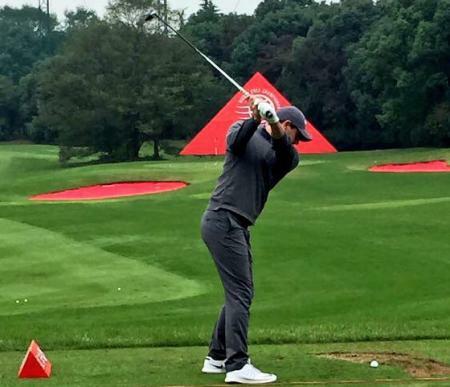 Rory McIlroy is rumoured to be making a switch to TaylorMade M2 woods this week in China. One of the greatest Ryder Cup battles ever has to be the encounter between Rory McIlroy and Team USA's talisman player Patrick Reed. 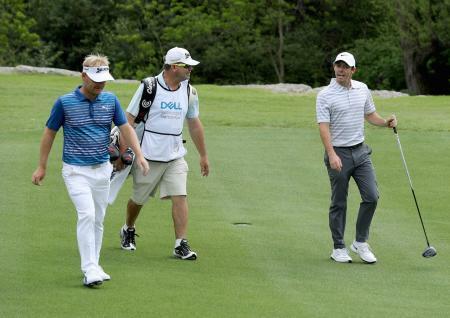 Watch their amazing putting duel here. 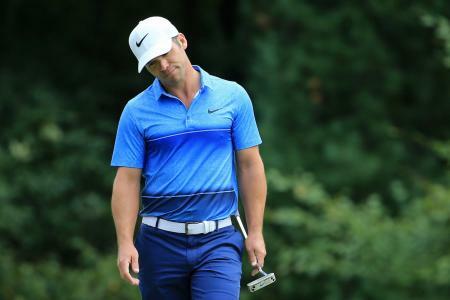 Paul Casey fell away in the final round while Rory McIlroy bagged his first PGA Tour win since May 2015 after overhauling a six shot deficit. 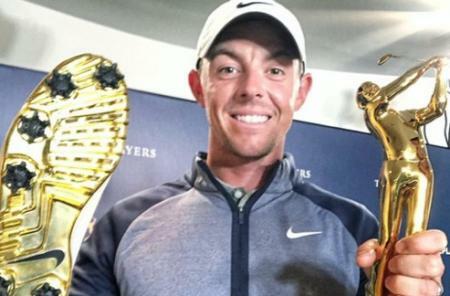 Check out what clubs Rory McIlroy won with at the Deutsche Bank Championship. 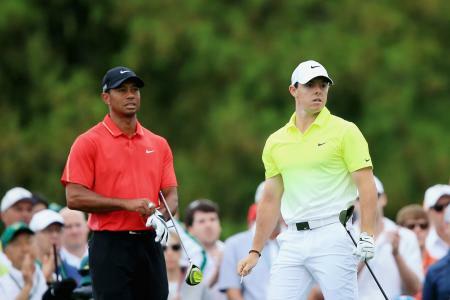 What clubs do you think Tiger and Rory should use? 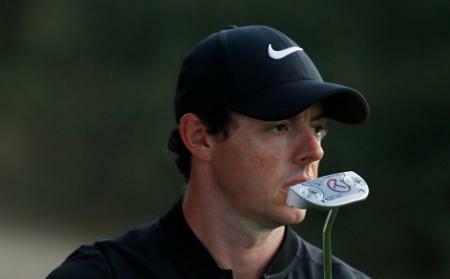 Which Scotty Is Rory Putting With? What is Rory putting with, and who is helping him improve his stroke? 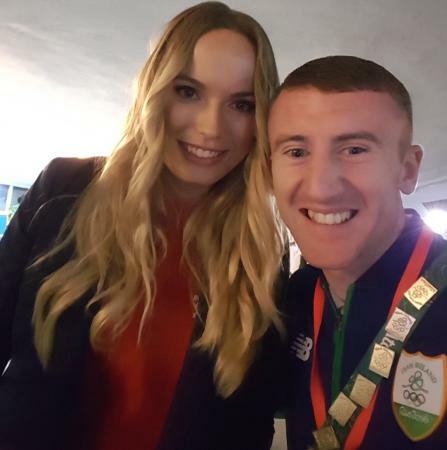 Rory was trolled yesterday by Irish boxer and flag bearer Paddy Barnes. But Rory was not going to take it lying down. Here's how he responded. Irish Flagbearer Paddy Barnes has been critical of Rory’s decision not to play in the Olympics over fears of the Zika virus. 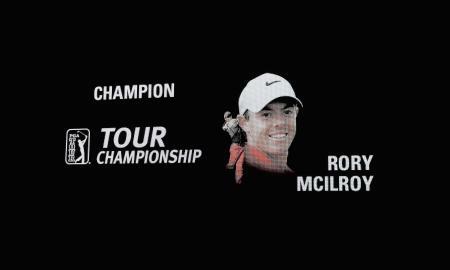 Now he's found a new way of taunting Rory. Missing the cut had a bit of upside for Rory McIlroy as he got to see the Carl Frampton fight live. He admits to have never being so nervous before at a sporting event.